Mothercare My First Pony pink Comforter Soft Toy is adorable. She is soft and very cuddly and would be a great comforter toy for any little one. Pony is in excellent condition and will be a favourite with any child. Nuby Unicorn Pony Comforter. A real cutie. Primark Purple Unicorn Pegasus Soft toy. Approx 10 inches tall from top to bottom when lying flat. Over all good condition apart from its horn is damaged and frayed, see photos. From a smoke free but pet friendly home. World wide shipping available. Little Tikes ride-ons and rockers allow children to put their bodies and imaginations in gear and move to the next level of active and creative play. Low saddle for stability. Assembly Required: No. Wide runners for toddlers to rest their feet. MARKS AND SPENCER NAVY BLUE STRIPE ZEBRA BABY COMFORTER- Never Used! MARKS AND SPENCER NAVY BLUE STRIPE ZEBRA BABY COMFORTER. Never used! Dispatched with Royal Mail 2nd Class. This perfect first rattle for babies features a soft, friendly horse with dangly feet attached to a colourful easy grip ring. The different textures and shapes are great for youngsters to get hands on with and a hidden smiling teddy bear face rewards curiousity. Clip, Clop, Clip Clop! Contents: 1x Playgro Activity Rattle Clip Clop;. Playgro Activity Rattle Clip Clop. 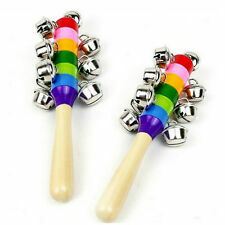 - Crinkle sounds & rattilng beads for auditory stimulation. Colourful plush horse as an educational toy to promote gross and fine motor skills, Ideal for the sensory training of seeing, hearing, touching, Suitable from 3 months;. MUSICAL PLAYS BRAHMS LULLABY. ROCKING HORSE. BLUE BABY BOY PLUSH 10" SOFT TOY COMFORTER. very good used condition. Colourful Soft Toy Comforter Brights Horse/Pony. Suitable from birth. Contrasting bright plush material hands and feet. Nici Horse, Diamond beige comforter toy is adorable. She is soft and cuddly and has a black and white checked bow on her beautiful mane. Diamond is in excellent condition. Plush Comforter Toy. Excellent Condition. Happy Horse - Gaby Elephant Soft Toy. Approximate size: 20cm x 20cm. 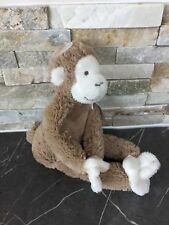 A lovely monkey made from soft plush materials. He has little floppy ears, a small tuft of textured hair, big feet, a happy smile, and a little tail. Colours: blue, green, orange and neutrals. From a pet and smoke free home. Has not been used since purchase. Still has tags. Is in pristine condition. Thank you. Jelly Kitten Cat Jellycat Hoopy Loopy Pink Striped Horse Hanging Pram Soft Toy. Condition is Used. Dispatched with eBay delivery – Shutl 2-3 days. Size: 30cm. Material: Plush, PP cotton. NEED: 3AA battery (NOT INCLUDED). Children can exercise wrist and arm and hand-eye coordination. Quantity:1×baby Bell. hope you will wait for item Patiently! W e support wholesale. Deze nieuwe topper is super zacht en verkrijgbaar in vier neutrale kleuren. Verkrijgbaar in twee formaten. If there's a problem, just let us know and we will fix it. Available in 4 different colours. 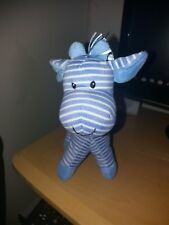 Little Jellycat Jazzie Zebra Comforter Soft Squeaky Toy In good pre~loved condition from a smoke free home. Ideal as a replacement or spare. Color : As shown--White Color. Material: Wood. The images are for reference only. Size: 12 1.8 6cm / 4.7 0.71 2.4in (Approx.). 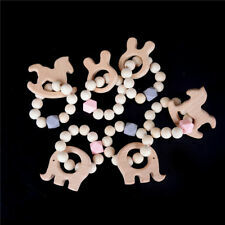 ThisRed Kite activity toy with cute hanging toys is suitable for use on car seat handles, bumper bars, cots, push chairs. 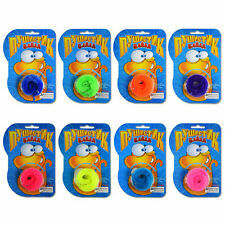 Its learning features include squeakers, crinkles and rattles. Suitable from3 months onwards.